There comes a time in a boy’s life when he becomes a man. In some Native American cultures to officially be called a “man” one has to undergo some sort of ritual, a “Vision Quest” a period of fasting and reflection. For most American males however the passage to manhood is many times symbolized by one thing: the minivan. It comes after all the other girls fade from memory and he sees “her”. Shortly thereafter “her” becomes the “Mrs.”, sometimes despite his best efforts. Soon there are kids, a house in the ‘burbs and the all important symbol; the minivan. For the last three decades or so, we men have all gone through the rite of passage that ended with a minivan in the driveway. Mine was a Caravan, a new 1989 model. It served its purpose, carried all the things that a growing family needs to carry and survived ice cream, lost toys, Gummy Bears stuck to the seats and even Hurricane Andrew. Still I wasn’t too sorry to see it go. After all a minivan isn’t something that one usually likes to drive. It does stuff, carries things, gets the family from one place to another and that’s about all. When mine was unceremoniously dumped onto a fly by night dealer it wouldn’t shift out of first gear, thanks in large part to the towing of a racecar from North Carolina to Florida without a transmission cooler. It took the charms of a very attractive wife, wearing her tightest jeans and highest heels, to coax a small check out of the male dealer without them ever even driving it. We made sure that check cashed in quick fashion. 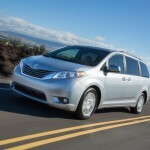 The point is that the minivan has been much maligned through the years. It has come to symbolize the loss of the man-card, a message that our youth has gone, time to grow up big boy. 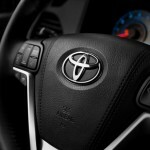 Toyota however has been among the manufacturers to buck that trend. 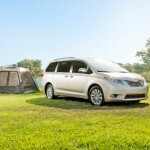 Thanks to the Sienna, they have shown that a minivan, while still a minivan, can be cool. So it was when told we would get to try the new 2016 Sienna for a week that we knew that our man-card would remain fully in our pockets. We had some experience with the Sienna. And when we saw the new one we had to admit to getting a bit emotional. You see, back in 2008, our dad, well into his 70s at the time, had just purchased a new 2009 Sienna. He loved to show off the big van, the automatic side doors and all the room and seating inside that could carry all the kids, grandkids and their assorted husbands and wives. He loved to pile everyone in and drive wherever. So it was that when we first saw the Sienna, ironically in the same color as dads, that we remembered the last memory we had of him. It was the final time he drove us, proudly, in his Sienna. Dad passed away in 2009 and the van disappeared shortly after. Sometimes the memories the automobile can provide are precious. 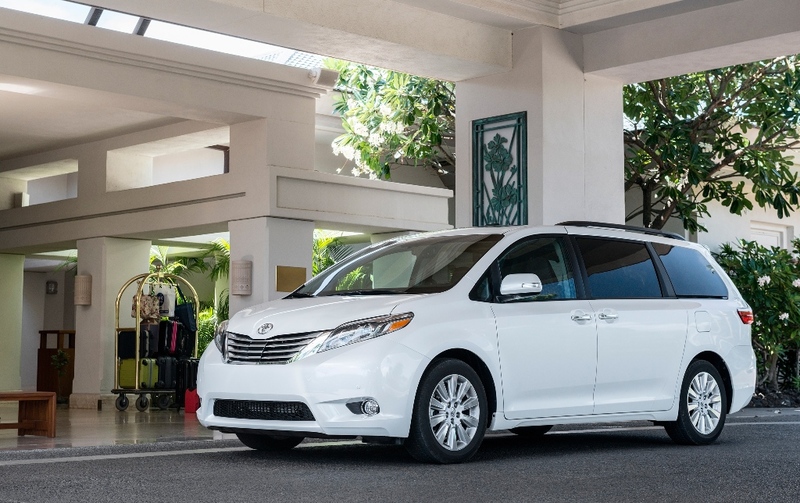 The 2016 Toyota Sienna minivan comes in five main trim models: base L, LE, SE, XLE and Limited. The SE, XLE and Limited also have “Premium” sub-trims. The LE and XLE come in seven- and eight-passenger configurations; the L and Limited versions are seven-passenger only and the SE is eight-passenger only. 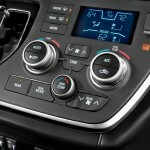 All models come standard with front-wheel drive, but the LE, XLE and Limited also can be had with all-wheel drive. 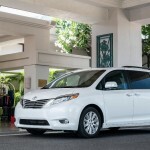 By the way, the Sienna is the only minivan still available with all-wheel drive. In 2015, many of the Sienna models received a new grille and updated head and taillights. They also got a revised interior that includes some new easier-to-operate controls, as well as new gauges and larger center screens. For 2016, Siri Eyes Free functionality for iPhone users is standard across the board and some models also get the Scout GPS Link app, which displays smartphone navigation on the central display. The base Sienna, the L, comes standard with manual sliding rear doors, windshield wiper de-icer, automatic headlights, cruise control, tri-zone automatic climate control, a height-adjustable driver seat, cloth upholstery, and a tilt-and-telescoping steering wheel. There is also a rearview camera, Bluetooth phone and audio connectivity, Siri Eyes Free functionality for iPhone users and a four-speaker sound system with a 6.1-inch touchscreen, CD player, a USB port, a media player interface and an auxiliary audio jack all set atop 17-inch alloy wheels. With the LE you add roof rails, the power-sliding side doors, privacy glass, heated mirrors, body-color exterior trim (replacing black plastic), floor- and overhead-mounted consoles, an eight-way power driver seat (with power lumbar support), upgraded fabric upholstery, second- and third-row sunshades, a 7-inch touchscreen, compatibility with the Scout GPS Link app, and a six-speaker sound system with HD and satellite radios. All-wheel-drive versions get 18-inch wheels instead of the 17-inch. The SE has the LE features but adds a sport-tuned suspension, refined steering, 19-inch alloy wheels, a unique front fascia (foglights, LED daytime running lights and mesh grille) and lower-body skirting. The SE also has a power liftgate, first- and second-row perforated leather upholstery (row three gets leatherette premium vinyl), heated front seats, a leather-wrapped steering wheel and unique gauges with a larger driver information screen. The SE Premium package adds keyless ignition and entry, a sunroof, , blind-spot and rear-cross-traffic warning systems, a navigation system. 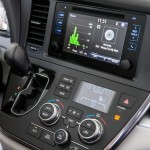 There is also Entune smartphone app integration, a rear-seat entertainment system (with HDMI and SD card inputs, a Blu-ray/DVD player, two 120-volt power outlets and a large screen that can be split to display two different sources) and the Driver Easy Speak system, which amplifies the driver’s voice through the rear speakers. The Sienna XLE, our model for the week shares many of the SE trim’s equipment, but features similar suspension, steering and styling to the LE. It also adds a four-way power front passenger seat, faux-wood trim, power-opening rear quarter windows and keyless ignition and entry. 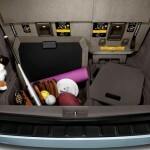 The XLE Premium adds the SE Premium’s features and rear parking sensors. The XLE Navigation package includes the same items without the rear entertainment and blind-spot/cross-traffic warning systems. The Limited includes the XLE Premium’s features (minus the rear-seat entertainment system) along with 18-inch alloy wheels, a different grille, LED daytime running lights, auto-dimming and power-folding mirrors, front and rear sunroofs, front and rear parking sensors, first- and second-row premium leather upholstery, driver memory settings, a heated steering wheel, Toyota Safety Connect Emergency services, a navigation system and an upgraded 10-speaker JBL surround-sound audio system. FWD powertrains also get a sliding center console between the first two rows, extendable footrests for the second row and a power-folding third row with upgraded leatherette upholstery. The Limited Premium adds xenon headlights, automatic high beams, automatic wipers, the rear-seat entertainment system and upgraded leatherette for the third row (AWD only). For the front-wheel-drive Sienna Limited only, an Advanced Technology package adds adaptive cruise control and a forward collision warning system. 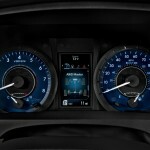 Every 2016 Toyota Sienna has a 3.5-liter V6 engine under the hood that delivers 266 horsepower and 245 pound-feet of torque and drives the front wheels through a six-speed automatic transmission or through all four wheels if you opt for the all wheel drive on the LE, XLE and Limited. The large interior is impressive. The quality materials and leather seats and appointments make the interior feel luxurious We felt the light interior color might become a sacrificial lamb with a young family, although truth be told it seems easy to keep clean. 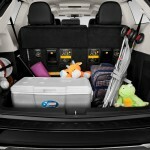 Make no mistake the Sienna is a big van, there seems very little “mini” about it. Yet despite this on the road the view is excellent, the steering sure, and the power is more than adequate. In spite of its size and 4705 lbs curb weight on the road the Sienna drives well and parking was easier than first feared. Sure, the Sienna is a minivan, but with the sweeping outside look and profile it doesn’t look like the boxy minivans of old. As dad proved the customers aren’t always young families, they are people who need to carry a lot and want a nice comfortable drive while doing so. 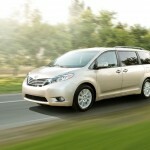 The minivan has grown up and the Sienna proves it can be something you can be proud to own. My week with the Sienna was a good one. I enjoyed the drive, the interior comfort, and room and felt as though I could now own something called a minivan without giving up the man-card. It was somewhat bittersweet remembrance at the start of the week. But the final drive at the end took me back not only to our time with my minivan and happy memories of my children now grown, but left me smiling with a memory from 2008 of a dad proudly showing us the Sienna he had just bought, and that one final drive with him behind the wheel. Thanks for the memoires Toyota. Yes, sometimes the memories the automobile can provide are precious.